Turbulent waves in Lake Erie. Photo: Dave Sandford. This Is What A Great Lake Looks Like After All The Vacationers Are Gone (Buzzfeed): Photographer Dave Sanford spent time on Lake Erie shooting the Great Lake’s turbulent fall season. From mid-October to mid-November, the longtime professional sports photographer traveled each week to Port Stanley, Ontario, on the edge of Lake Erie to spend hours taking photos. His goal was to capture the exact moment when lake waves driven by gusting winds collide with a rebound wave that’s created when the water hits a pier and collection of boulders on the shore. People are blown away that these are from a lake, and not an ocean due to the size and force. Crayfish in Burt Lake are thought to be on the decline. Image: Greg Schechter, Flickr. Pharmaceutical pollution takes toll on crayfish and other species (Great Lakes Echo): Drugs seeping into groundwater threaten crayfish and have a domino effect of environmental impacts that harm fish and other species, according to new research. Pharmaceutical pollution happens when medicines are improperly disposed or flushed into septic tanks and sewers as the body eliminates them. Treatment can’t filter them so they make their way into lakes and streams. Crayfish are a keystone species, one that many others species depend upon. If they died, so would trout and bass. That would lead to algae overgrowth and in turn, insects and invertebrates would die when decaying algae used up all the oxygen. At this point there are not solutions for removing pharmaceuticals once they are in lakes and streams, so this is a prevention issue. We need to keep it out of the waterways, improving septic and sewer systems to filter pharmaceutical pollution is a critical need. Red pine forest in West Michigan. Image: Marie Orttenburger. Researchers look to brace Great Lakes forests for climate change (Great Lakes Echo): Great Lakes forests will get warmer and suffer more frequent short-term droughts, scientists say. The stakes are high. Forests are staple ecosystems in the region. Many wildlife and plant species depend on forest stability. Plus, forests are a part of the regional culture. The approaches to climate change adaptation for trees are as diverse as the tree species. Underwater shot of a mudpuppy at Wolf Lake. Image: Alicia Beattie. Secretive amphibian can provide pollution clues (Great Lakes Echo): The mudpuppy is a fully-aquatic salamander thought to be on the decline–though the extent of that decline is unknown. The foot-long amphibians are classified a “threatened species” in the state of Illinois and considered a concern throughout the Great Lakes region. Destruction and degradation of habitat, along with invasive species, are spelling doom for mudpuppies. Mudpuppies are also very sensitive to pollution. That characteristic could make them especially important to researchers. Population statistics and tissue samples could clue scientists in on the effects pollution and habitat degradation are having on those environments. into the area, and people can see that up close. 2015 Lake Erie algae bloom largest on record (Detroit Free Press): Scientists say an algae bloom that spread across Lake Erie this past summer was the largest on record and produced a thick scum about the size of New York City. The bloom stayed toward the center of the lake between Canada and Ohio and away from the shoreline. That lessened the impact on boaters and plants that handle drinking water. Michigan hunters help feed the hungry (Outdoorhub): Michigan Sportsmen Against Hunger (MSAH) is a volunteer-based program that aims to get excess game meat onto the plates of the less fortunate. Food banks love the program, often contacting the DNR to ask about participating. One of the requirements is that venison has to go through a license processor. Another element to the program is that it promotes hunting and hunters need to know that nothing goes to waste. 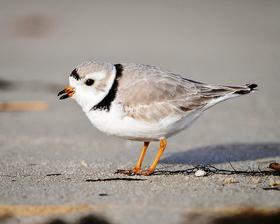 population could harm the health of the entire food web. 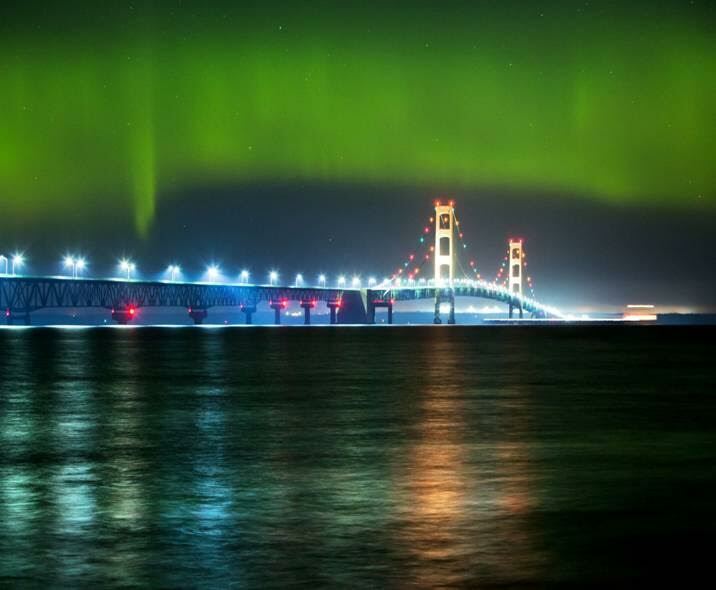 Northern lights over northern Michigan (The Detroit News): Skywatchers received a celestial treat Monday and Tuesday nights when northern lights were visible in northern Michigan. A storm on the sun sent waves of solar particles 93 million miles to earth’s magnetic poles to create an aurora borealis. The light show stretched from New Hampshire to Nebraska treating citizens to red and green ribbons that shimmered against the inky sky. Michigan rattlesnakes face uncertain future (Detroit Free Press): The U.S. Fish and Wildlife Service recommend putting the Eastern Massasauga rattlesnake, Michigan’s only venomous snake, on the threatened species list due to habitat loss and negative human interaction. While most people fear these snakes, only one or two people are bitten by the snakes each year, but there has not been a fatality for decades, according to the DNR. The best way to ensure survival of the rattlesnake is to preserve its habitat and support wetlands conservation. City bees pollinate urban education (Great Lakes Echo): Urban beekeeping is an increasingly popular teaching tool that also provides support for the threatened pollinators. Rooftops and balconies are great places for beehives in the city since the bees will fly above everyone. Programs at Michigan State University and the University of Minnesota are working to provide educational programs and events for various age groups and help support organizations that teach kids about bees. 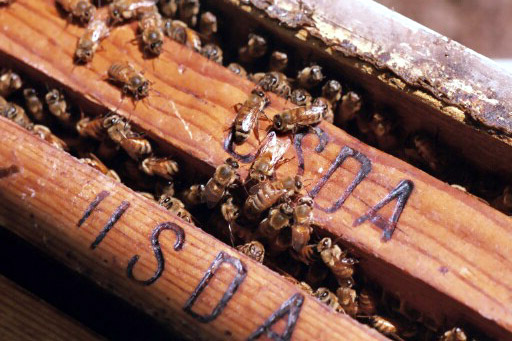 They also provide hands-on mentoring classes about basic beekeeping. They understand that no bees means no food and emphasize the importance of bees as pollinators and the food systems they support. App shows energy sources, emails preferences to state officials (Great Lakes Echo): PicMyEnergyMix is a new web app that calculates the sources of energy used by people in Michigan and lets them adjust the mix on their screen to reflect their preferences. Users can denote how much of each energy source they would like to use. The website adjusts the other percentages proportionately. If a person favors only solar and wind power and selects exactly 50 percent of each, everything else lowers to zero. Michigan has recently lost ground when it comes to energy waste, so the PicMyEnergyMix app features a switch that people can turn on to convey that energy efficiency is their priority and email Gov. Rick Snyder and Sen. Mike Nofs their preferences and current utility mix. 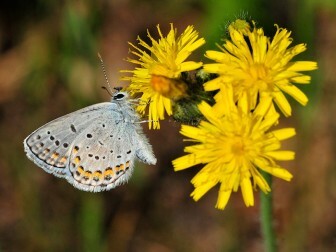 Imperiled butterfly leads way for conservation of climate sensitive species (Great Lakes Echo): The Karner blue butterfly population in Michigan is down, and experts say the state’s dry winters, hot summers, and inconsistent precipitation are to blame. Conservation strategies like oak savanna restoration have helped the Karner blues, as well as a number of state threatened and endangered plants. With additional pressure from climate change, scientists are seeking new approaches to protect the butterflies and other rare species. There are now just three wolves left on Isle Royale (IFL Science): Wolves and moose have been observed for decades on Isle Royale National Park. Wolves access the remote island by walking over ice bridges from land near the Minnesota-Ontario border. Typically, between 18 and 27 wolves are seen each year and there may have been as many as 50 at one time. Last winter, there were nine wolves. The wolf population began declining in 2009, plummeting by 88 percent. The dwindling frequency of ice bridges means fewer new or visiting wolves can access Isle Royale. Scientists and religious leaders discuss climate change at Vatican (The New York Times): Scientists, diplomats and religious and political leaders gathered at the Vatican on Tuesday to discuss climate change and its impact on poverty. In September, the pope is expected to address Congress and a United Nations summit meeting on sustainable development to reiterate his environmental message. Following Tuesday’s symposium, the participants released a statement underscoring their environmental concerns. Whooping crane, No. 27-14, that was spotted in Michigan. Photo courtesy of Rhoda Johnson. Rare whooping crane spotted in Southwest Michigan land preserve (MLive): Local birdwatcher Rhoda Johnson reported seeing an endangered whooping crane at the Southwest Michigan Land Conservancy’s Topinabee Preserve near Niles earlier this month. There are only about 600 whooping cranes in the world and the bird Johnson saw in Southwest Michigan was raised at the Patuxent Wildlife Research Center in Maryland and has a tracking device. She was released in Wisconsin last September and has migrated from Kentucky to Wisconsin, Indiana, and now Southwest Michigan.